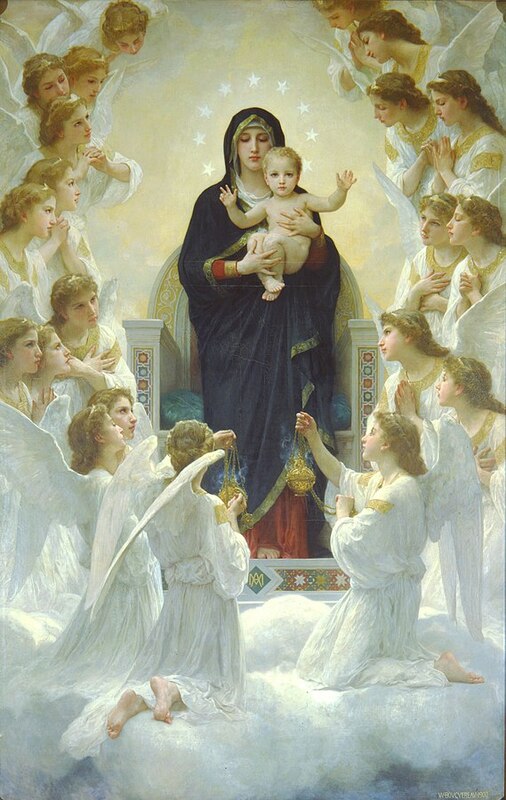 As a follow up to last week’s post, I thought I would highlight the differences between 19th-century realism in art, exemplified by Adolphe-William Bouguereau, and the essential elements of the Baroque style in a simple way. This is in response to one commentator who suggested that the Baroque aesthetic was the problem, not answer. My response to this is that there may be a problem with the aesthetic that we sometimes see in the context of the TLM today, but it is not Baroque. Many artists who paint naturalistically today (not all) also owe too much stylistically to this period in my opinion. I will admit in doing this that I am picking examples that conform strongly to the general ideas that I am citing. First, look at this famous painting by the 19th-century French artist. Note the more even naturalistic coloration and the predominance of sharp edges, which are greater than in the examples by Baroque artists I cited last week. While the swing in the other direction is not as extreme as we might see in the British Pre-Raphaelite style, it nevertheless goes further than the true Baroque style would permit. Regardless of what emerges precisely from the stylistic analysis, I am guessing that most can see that the overall effect is one a superficial sentimentality which, I would argue, is inappropriate for liturgical art. 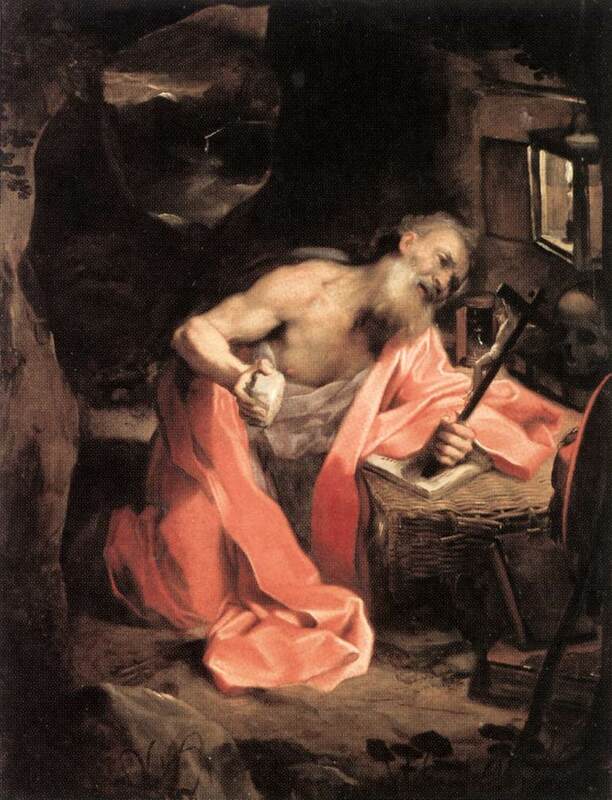 You can contrast this with the approach of Barocci, first, and Sassofarato in the earlier period. 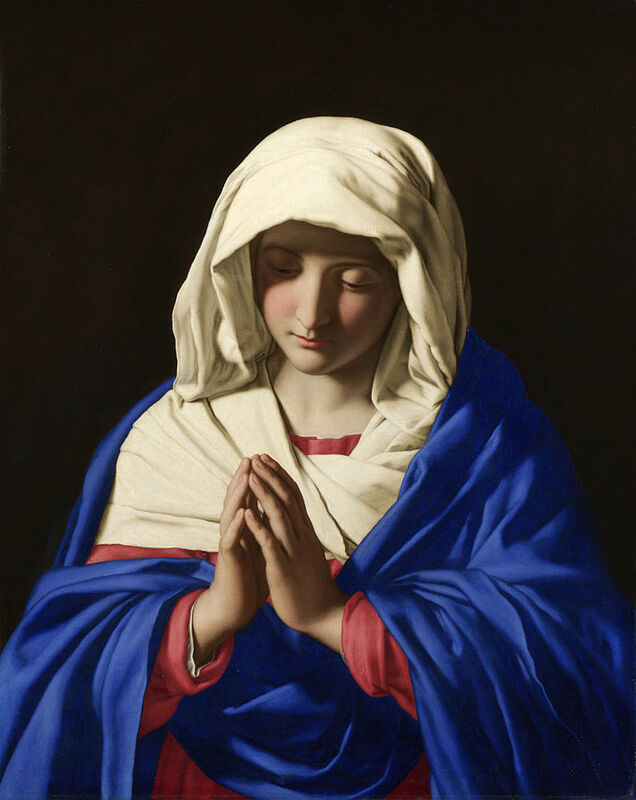 Both have painted the face of the Virgin as an idealized face, which is drawn from the Greek classical ideal, and both have strong variation in focus and coloration. 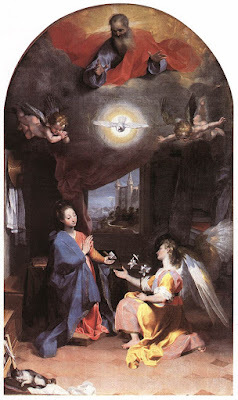 I list the stylistic features of baroque art below, as I wrote them in the original article. In fact, if I had my way, I would knock back the prominence of the face and put it in just a little more shadow relative to the figure as a whole - even more than the artists did in these latter examples. To the modern eye, I feel, even there is a sweetness to the expression of Our Lady that is close to being overly sentimental. Adding some shadow in the faces would counteract this. Nevertheless, again, I am hoping that readers can see that the contrast with Bouguereau’s approach is marked. Just as a reminder, here are the principles that strike me as epitomizing the stylistic elements of the Baroque. The key figures of interest are painted with the most naturalistic coloration and are the most brightly lit, most detailed in its rendering, and most sharply focused. All of these are devices to attract the eye to the most important part of the composition. Attention is drawn to the figure, further, by contrast with the background, for which the artist uses a limited palette, in this case, one color, sepia, which he only varies tonally. There is very little detail in the rendition of the background in comparison with, say, the face of St Jerome; notice how the brightest colors are in the cloth next to him. And the sharpest contrast in tone is between the line on the edge of his right elbow which traces its way along his shoulder to a sharp point under the right ear. This leads our eye to the face. See also how this contrast is sharpened by making the background very dark immediately adjacent to this edge. I wonder if NLM readers agree with me?